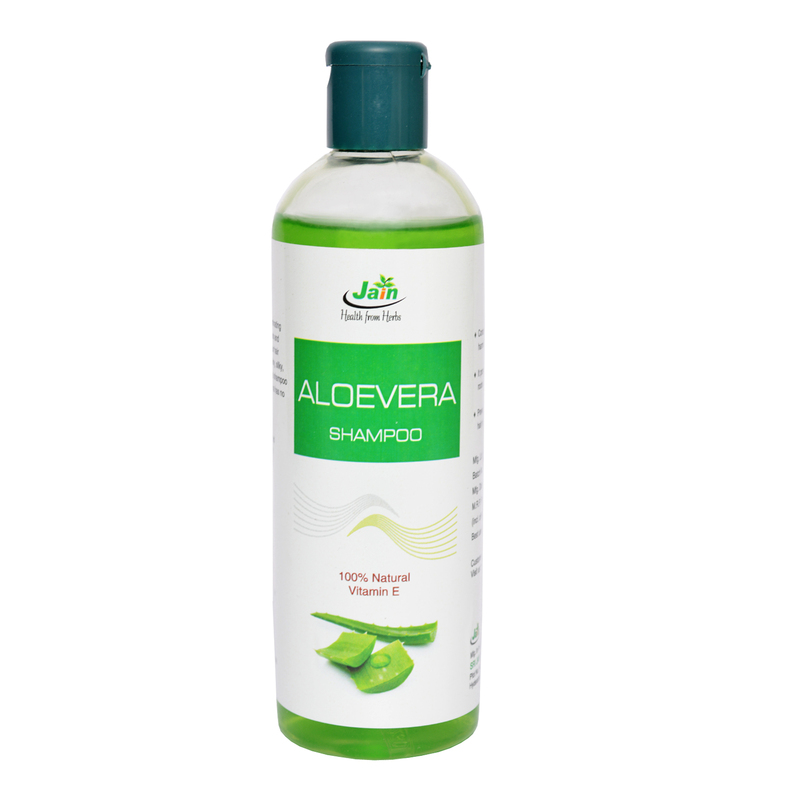 Jain Aloe Vera shampoo contains high quality natural Aloe Vera extract that helps in soothing the scalp and nourishes the locks. This shampoo is free from paraben and works as an effective anti-dandruff solution. It treats scalp problems like itchiness, flaking, drying without any harmful side effects. This soothing and nourishing formulation can be ideal for round the year use. Pure Aloe vera (Aloe Barbadensis) Extract. Aloe Vera can be used in dandruff treatment and prevention. It can also moisturize a dry scalp, which helps to alleviate the presence of pesky flakes. Treating a flaky scalp is also a key factor in eliminating dandruff all together. Aloe Vera can be used as a rinse for oily hair without additional, unwanted effects like making hair dry or brittle. The amino acids in Aloe Vera can promote strength and add shine to your hair. Aloe Vera can help prevent frequent hair loss and promote hair growth. With hair loss, using Aloe Vera regularly will rejuvenate the hair follicles and reduce thinning.